The boom experienced by much of the region in 2017-18 is over, and growth rates will mostly trend lower in the next 2-3 years. 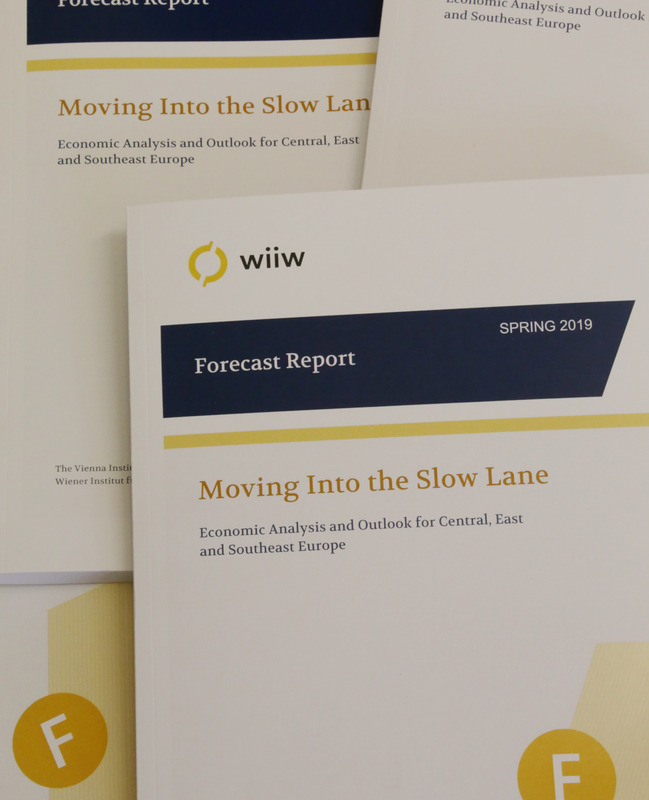 Weaker global growth, US protectionism, Brexit and ongoing problems in the eurozone represent a serious threat to CESEE’s export-reliant economies. Increasingly severe labour shortages are pushing up wages, and this in turn is driving fairly strong private consumption growth. However, this could also threaten external competitiveness and see foreign investors look elsewhere. In the long run, CESEE faces a host of formidable challenges: demographic decline unprecedented in peacetime, attacks on the quality and independence of institutions, a lack of preparedness for the new digital economy, and low levels of automation relative to frontrunners in Asia, North America and Western Europe. Growth in much of CESEE is still at or close to its best level since the global financial crisis, reflecting a confluence of highly supportive factors. The fastest-growing economies in the region last year were Hungary and Poland, in both cases shrugging off negative political noise. Serbia also had a good year, posting its best growth for a decade. By contrast, sharp slowdowns were observed in Turkey and Romania in 2018, after previous overheating. Russia remains one of the region’s slowest-growing economies, despite oil prices rising by over 30% in 2018. Structural deficiencies and the impact of Western sanctions continue to weigh heavily on economic activity. Growth peaked for CESEE in 2017-18, and will trend downwards from here. Although strong wage rises, low interest rates and a generally positive outlook for investment will keep economic activity at reasonably robust levels, the peak of the cycle has passed. A mixture of serious external headwinds and domestic challenges will mean that most of the region’s economies expand more slowly in 2019-21 than in 2016-18. The fastest-growing economies in the region will be Kosovo, Albania and Moldova, while the weakest will be Russia, Turkey and Belarus. At the global level, the slowdown in key sources of final demand such as Germany and China will negatively impact CESEE exports. The Czech Republic, Slovenia, Slovakia and Hungary are most exposed to this, owing to both the extremely elevated share of exports in GDP and their high degree of integration into regional and global value chains. At the regional level, the main headwinds are increasingly severe labour shortages, the impact of weaker global growth and geopolitical risks on confidence, and the potential for lower inflows of EU funds. Tight labour markets have pushed up wages strongly, presenting a challenge to external competitiveness in some countries. Overheating is not a concern at the aggregate level, but we see the greatest potential signs in labour markets and property prices, especially in EU-CEE countries. By contrast, signs of under-heating are visible in current account and fiscal balances. On the credit front, loans to households are growing rapidly in Russia, Ukraine and Belarus; this trend could become a concern if it continues. We also note very negative real interest rates in the Baltic states, Hungary, Slovakia and Slovenia. However, asset quality continues to improve in most places, providing an important source of stability. Inflation in most of the region is mysteriously low, especially in the context of rapid wage growth in much of EU-CEE11 and the CIS, and last year’s spike in oil prices. We attribute this to a combination of very weak price growth in the eurozone, slack in parts of the economy, a de‑anchoring of inflation expectations, increased competition from online retailers, lower international food prices, higher savings rates, a relatively low labour income share, and remittance outflows. Outside the CIS, inflation will only pick up very slowly, if at all. This will allow central banks in EU-CEE countries and the Western Balkans to keep monetary policy fairly loose. The challenges to medium- and long-term growth in CESEE are formidable. Demographic projections indicate a collapse in population that is unprecedented outside times of war and famine. Authoritarianism, state capture and interference in the independence of institutions are all on the rise. Generally low educational standards, levels of network readiness and ICT capabilities (in comparison with Western Europe) could hamstring CESEE’s ability to integrate into a digitalised global economy. The level of automation in almost all countries is well below the frontrunners in Western Europe, North America and Asia. Policy-makers and firms must act now to ensure that the region is not condemned to a low- or zero-growth future. First, for a region facing such unprecedented demographic decline and with a high reliance on industrial exports, rapid automation is a priority. Second, governments must strengthen and support the quality and independence of institutions. In EU Member States where institutions are under attack, Brussels should play a stronger role in upholding EU standards. Third, higher and better-targeted investment in education and training will be crucial to prepare CESEE for the new digital economy.